the ultimate satisfaction of our clients. At All Star Electric, we know that a happy customer is a repeat customer. Our main goal is to provide the utmost service at a competitive price. You can be confident in knowing that we stand behind everything we put our name on! 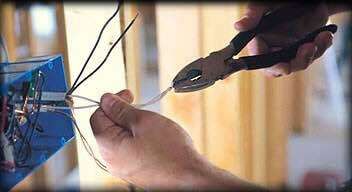 All Star Electric, your electrician for Colorado Springs and the surrounding area. Our trained electricians, working in the Colorado Springs area, specialize in residential, commercial, and industrial electrical work. Please contact us at anytime! We look forward to hearing from you. Give us a call at (719) 640-2650. You can also email us at peter@aseyourlight.com or go to our contact page where you can send us a message or request a quote.